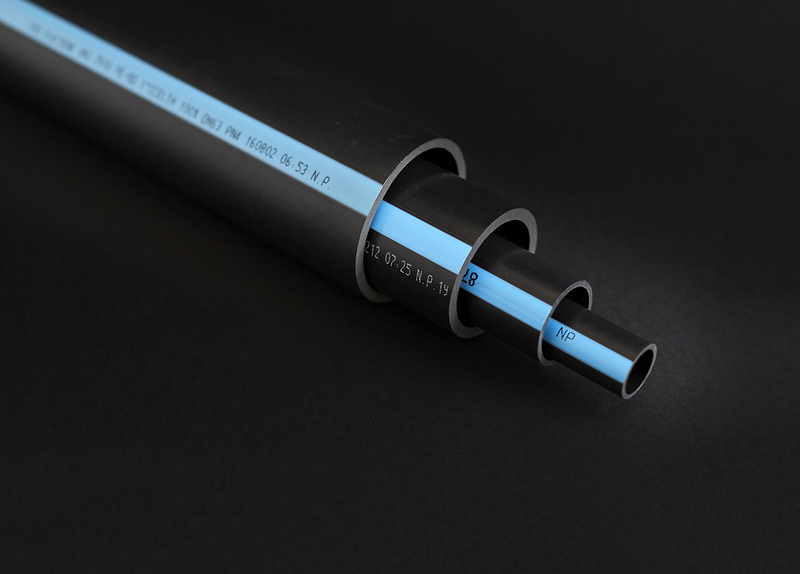 PLASTENE is a low density polyethylene pipe PE32, of black colour with extruded blue stripe on top, indelibly marked, manufactured with selected resins to guarantee long life and high reliability, complying with the rule UNI 7990:2015. PLASTENE pipe is suitable for the making of sub-irrigation systems, aerial, on open field and green house, with use of low operating pressure. It is also used for the non-alimentary fluids conveyance.